It’s December, and the holidays are in full swing. For many of us, it’s the most amazing time of the year. The holiday season usually means good food and quality time with loved ones and friends. Unfortunately, for many others, the season can also be a tough and lonely time, especially for senior loved ones living in long-term care facilities or those living on their own and receiving home health care in California. Many people believe that loneliness is merely an emotional issue. In reality, it’s not. On the contrary, it has real implications for one’s physical and mental health. In fact, various research has already shown that isolation and loneliness affect mortality. They also put your elderly loved ones at higher risk of cognitive decline while making them enjoy only a subpar quality of home health in San Diego. Make communication your top priority. Nothing beats visiting your family members in person, especially if they are merely receiving care from a home health agency in Chula Vista, California due to restricted mobility or limited transportation options. But if you cannot visit them around the holidays, staying in touch by calling or video chatting on or prior to the actual holiday can make a whole lot of difference. Explore other things that interest them. Figure out what your older loved ones like to do to relax. Even if they are receiving health care services like skilled nursing in California and consequently cannot do a lot of strenuous activities, even seemingly solitary hobbies like reading or knitting can become opportunities for social interaction. 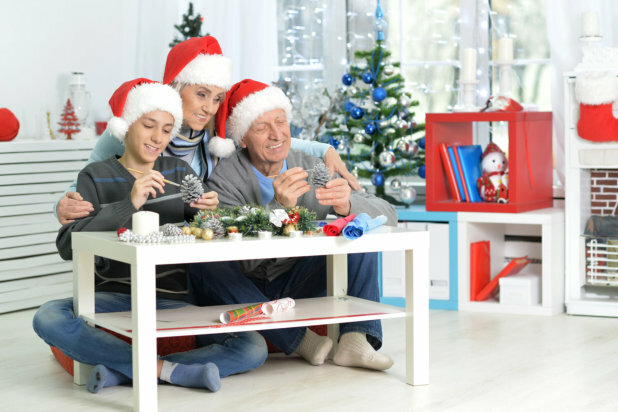 The important thing is that you are making the season brighter for your loved ones with your presence. This entry was posted in Blue Christmas and tagged emotional issue, health care services, long-term care facilities, social interaction. Bookmark the permalink.